Atlas Obscura organised Obscura Day on May 6, with events in 25 countries around the world. I went to one of the UK events: A behind-the-scenes tour of Novelty Automation in London. 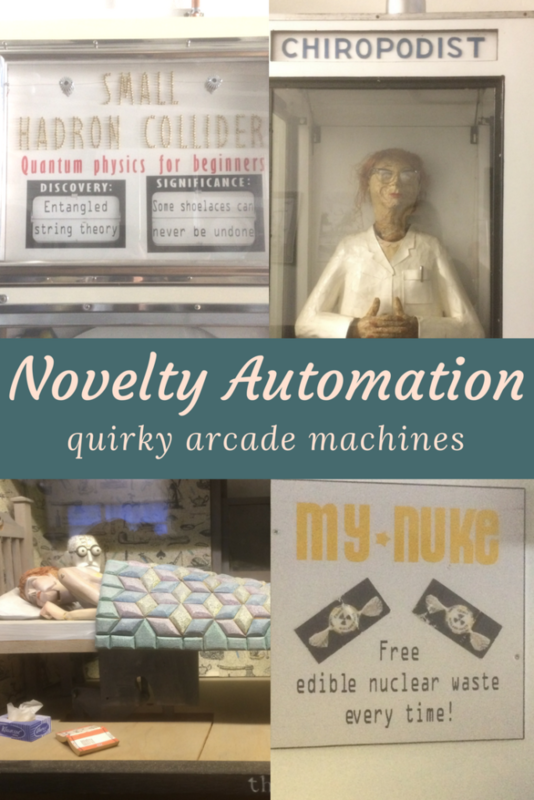 Novelty Automation is a quirky arcade, and an art project by engineer and artist Tim Hunkin. 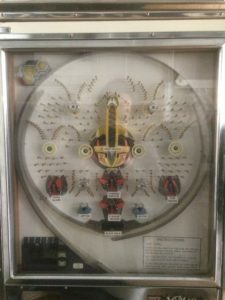 All the machines are unique, one-of-a-kind, working games. 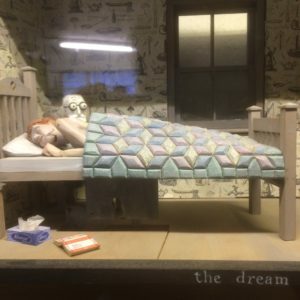 Hunkin created most of them himself, with the exception of a few guest projects, like “The Dream” – a mechanical machine by Paul Spooner. 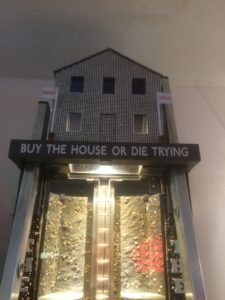 Hunkin’s machines are heavily inspired by current events and serve as physical, interactive, satirical pieces. He has a game where you can “climb the housing ladder”, for example, or one where you fly a drone around a celebrity mansion to snap paparazzi pics. Some of the machines have a strong science theme. Instant Eclipse is a personal eclipse viewer. You sit in it, look up, and watch the sky goes dark in front of your eyes. 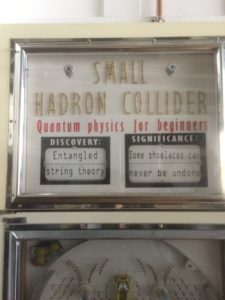 The Small Hadron Collider is a marble game with seemingly random results. You can win a Nobel Prize, or fail at discovering anything interesting. But my favourite machine, and the one that provided the most fun for my tokens, was “My Nuke”. 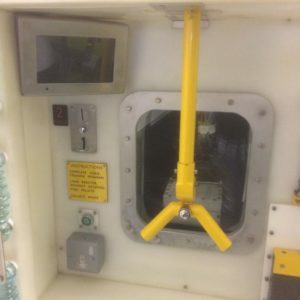 Sat at this machine, you go through a video training program that teaches you how to manipulate radioactive cores with a grabber. 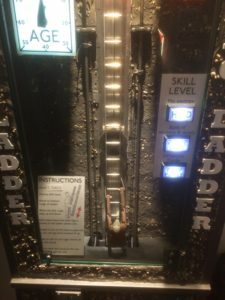 It gets extensively more difficult – especially when you need to maneuver the grabber while only seeing what you’re doing on a small video screen – but even after your inevitable failure to set up the reactor properly, you get a small piece of candy, custom designed with a hazard sign. 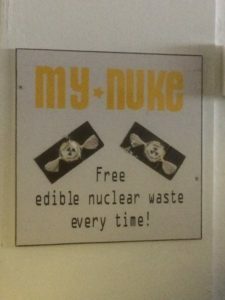 Your own edible piece of nuclear waste! Novelty Automation is located at 1a Princeton St in London. It’s open Wednesday to Saturday from 11AM to 6PM. On Thursday’s it’s open late, from noon until 8PM. There is a similar arcade, also by Hunkin, under the pier in Southwold. How amazing. I love the story and the photos. A tiny gem in a big world.